To snowmobile in Land O’ Lakes is to go beyond an ordinary day on the trails. Located on the edge of the Michigan and Wisconsin border, and surrounded by millions of acres of beautifully wild state and national forests, Land O’ Lakes is a snowmobiling destination like no other. You don’t need an excuse to ride these trails – there’s great riding in any direction – but if you’re looking for some interesting trailside attractions, there’s plenty to seek out. 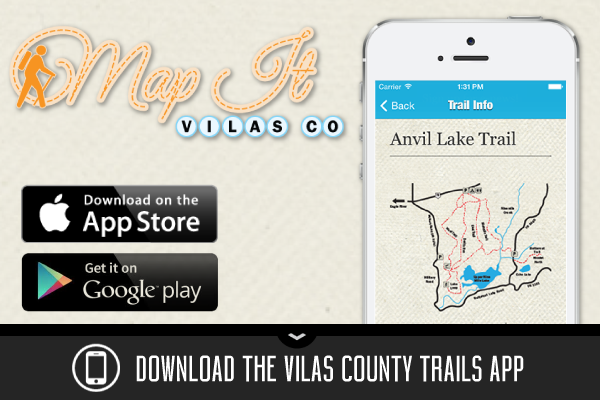 Here’s a sample of what you’ll find on and near the trails around Land O’ Lakes. Located just west of Land O’ Lakes, this lake is known as the clearest in Wisconsin. This time of year, you’ll have to take the scientists’ word for it, but it is worth a visit. One of the largest lakes in the area is Lac Vieux Desert. This 4,280-acre lake is located in both Michigan and Wisconsin and is the headwaters of the Wisconsin River – water flows downstream 420 miles from here to the Mississippi River. Across the border in Michigan you’ll find the largest lake in the Upper Peninsula. It’s so big, it crosses two time zones! Ride the edge of the lake and be sure stop to get a bite at one of the trailside establishments. Heading south from Land O’ Lakes, you’ll ride into snowmobile history. Eagle River is the site of the World Championship Snowmobile Derby, held on the AMSOIL World Championship Derby Track. Nearby, you’ll find the International Snowmobile Hall of Fame, the World Snowmobile Headquarters and more.